I have to remind myself on occasion that not everyone dives as much into the world of D&D on their free time as myself. I spend a ton of my time listening, watching, and reading different sources talking about rules, news, and DMing techniques. Even writing my articles causes me to consolidate my understanding of the game and improve upon it through my own writing. One could say I am absolutely obsessed with playing and running D&D. Community is the most important part of this hobby. My hope with this guide is to give you the resources you need to accomplish your goal. Even if you have never sat down at a table and picked up a character sheet this will give you everything you need to play the game, and more! Before I can get into some of the niche resources I have to lay the groundwork. Everything in this section is the bare minimum you need to play and run a game of Dungeons & Dragons 5th Edition (D&D 5e). The best part is that all of these are free or have a free alternative. Wizards of the Coast (WotC or Wizards), the folks who design and sell D&D, have provided the basic rules for the game free of charge on their website. 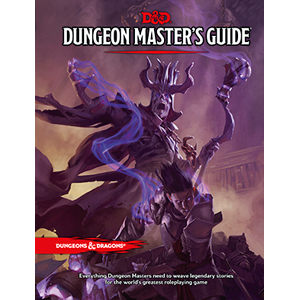 The contents of these rules are the bare minimum that you will need both to play the game and the starting resources you will want as an upcoming Dungeon Master (DM). As a new player you probably won't be jumping into creating your own character sheet templates (but who knows you might surprise me). Luckily you won't need the Players Handbook in order to get a copy. You can download all of the character sheets Wizards has designed for the game. There are a few alternatives and some that are form fillable for those that like to keep their character sheets digital. They also provide some pregenerated character sheets if you don't feel like creating one of your own. This is the resource that many of us in the community treat like tattoos, you can't have just one set. While it is absolutely satisfying to have a physical set of dice to roll there are plenty of digital options. Some of the resources I will mention later even contain their own digital dice rollers. I am going to make the assumption first that you are playing with some friends in person and don't want to buy dice just yet. Both Android and Apple have free dice roller options. I will note that my recommendations for Apple are purely off of reviews and not experience, I don't use Apple products. Now if you have gotten the bug and are ready to really dive into the game you'll want more options. From here it's not guaranteed that things will be free, but if you are looking to get these then you are probably willing to drop some money, or add it to a wishlist. As the name suggests this is for starters. This $20 box contains everything you need in order to play a full adventure. Inside is a set of dice, five pregenerated characters, a copy of the basic rules, and The Lost Mines of Phandelver adventure booklet. If you and your friends want to get into D&D this is a perfect way to go. This box is actually how I got my start into the game. For the price tag it has, this is an amazing deal for such an easy entrance into the game. Every player buying into D&D will want to start with this. 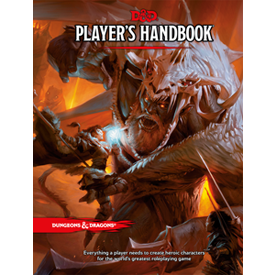 While most of the rules in this book are in the Basic Rules, the PHB contains a ton more classes, races, backgrounds, and the optional feat rules. It goes into more detail what the Basic Rules covered and has several amazing pieces of artwork. Having a physical copy of the book can be really useful, but Wizards does not offer a pdf version of the book. If you don't have friends who live close but still want a resource that will help you all play together, then roll20 is the service for you. As a player this service requires no payments, as for DM's the base roll20 is free. However if you want some additional features (like dynamic lighting) then you will have to pay a subscription fee. Now I don't mean to make it sound like you are losing out without a subscription, I played with the free version for nearly a year. The best part about the service is that they partnered with Wizards to release some of their full adventures on the platform, with art assets included! You can use this service for your full D&D experience. And if D&D isn't your only type of game, they support many other game systems as well. It is really a service worth looking into. For a member of the community that has several of the books already I do not actually recommend this product unless you want to buy the books a second time. That being said, if you are a person who prefers the pdf version of every book you get, then this is your only legal option. The bright side is that all of the source books are on this service and at a discount from their hard cover counterparts. This service also contains a character creation tool but is limited in the number of characters you can create. It is possible to run an entire campaign through the service. Their online tools are useful but they do come at a cost. If you don't mind paying for a few extra features then there is a subscription option. Some experienced individuals in the community might have reason to question my selections (or lack thereof) in the previous section. The following are nice tools but largely you can get away with not owning. I have known some DM's who roll without one of these screens but I have to say that a screen can make magic happen. The dungeon master has the screen just like the Wizard of Oz has the curtain, to maintain the illusion of the game. Also to have some rules easily accessible. The sound of a DM rolling dice without the players being able to see the result is one of the more panic inducing events that can occur. It creates tension and allows the DM to modify things behind the scenes without making the players feel cheated to create a better experience. You can either purchase one or create your own. A group of my friends made me a custom DM screen that I use at all of my games, and it let me control the information that I put on the inside. If you haven't taken a look at the Basic DMs Guide in the first section then it might not be a surprise if you think this book is more necessary than it is. The truth of the Monster Manual is that it's a list of all the monsters that Wizards has designed stats for. Now when it comes to being a DM this book is nice to be able to flip through and find a monster to throw at your players especially if you are not experienced. Really the only difference between this list and the one in the Basic Rules is that there are a few more monsters, most of which are Wizards intellectual property monsters (Beholders, Illithids, etc). However as your career as a DM continues, you will find that you will be using this book far less than you started with. Now I use this book all the time, but probably not for what you are thinking. I don't want any new DM to get the wrong idea about this book. It is not useless, but it most definitely is not a How-To guide on Dungeon Mastering. In this book contains a number of resources that are incredibly useful for lazier DM's. There is an entire list of magic items and loot tables. It also contains a bunch of optional rules you can include at your table (many of which I use myself). While there is a guide in there on Dungeon Mastering it will not prepare you fully for the experience of Dungeon Mastering. This book is poorly organized, so reliance on this book is not recommended. This is the book you sit down with between sessions when you want a little extra help on flushing out your world and your sessions. If you enjoyed the Monster Manual but wish there was more lore and monsters then this is a book to pick up. The first half of the book contains lore on some of the traditional creatures of D&D. If you wanted a few more player race options, this book has them too. It even includes some monstrous player options so you can play that Goblin Wild Magic Sorcerer you always wanted to. The final half of the book contains an entire new set of monsters, and variations on monsters you are already familiar with. The artwork in this book is amazing, bringing to life some of the horrible creatures within. Despite what the title says it is in fact not a guide to everything, but it sure does contain quite a bit. In it comes several new subclass options available for players and some rule clarifications (some that are much needed) for playing the game. After that comes the DM's toys. Quite literally. There is a whole section on common magic items that was woefully missing from the DMG. There is plenty of stuff in this book to keep you busy and add some much needed content to the game. If you are a fan of the Forgotten Realms and want more information on the coast made famous by R.A. Salvatore's series on Drizzt, then this is the setting book for you. Most published adventures by Wizards contain the setting information you need, if you are not quite ready to make your own world but are ready to build your own story then this will be a helpful resource. In it also contains several subclasses and backgrounds specific to the Sword Coast. There are even a few more spells that you might find useful. Many of the subclasses were reprinted in Xanathar's and you can largely skip this book. Do the core Wizards source material for D&D not satisfy you enough? Do you want a specific class option that you just don't have the time or resources to make yourself? Well chances are that someone has done something close. Wizards of the Coast has done something marvelous and allowed amatuer creators to develop and sell their own D&D content through the DM's Guild. Most all of the content on this site contains homebrewed content, some of it is free, some are not. You can find new content ranging from adventures, to new races, and new classes and subclasses. If D&D doesn't have what you want, this is my suggestion for where to look for it next. As a DM you will be spending more time on crafting your world and characters than actually plotting out sessions. Over time you will get tired of trying to come up with the names of NPC's or creating a town map for Generic Town #34. Here are some awesome resources I have found to aid you in your work. I wish the creator of this site would list himself on his website because this is by far one of the most useful websites I have ever come across for developing content in D&D. This has numerous generators for helping you flush out your world. If you always wanted an easier way to look through the list of magic items available in the Basic Rules, then this is the place to come. Seriously just take some time to look at what tools are available and you can lose yourself for hours here. If you made the site and are reading this, please contact me so I can give you proper credit for your fine job. If you have DMed for any amount of time and forgot to prepare an NPC's name just to have your players find them, talk to them, and then ask them their name, then this is a life saver. Heck this is a great tool for any amount of roleplaying you are doing, not just D&D or tabletop games. If you need a character name chances are this site has a generator just for that. Even if you don't like one of the names that comes up, you can take names that you like the gist of and modify it to how you want. It’s actually what I used for names for the novel I started writing. Are you running out of time before you need a city map to present your players? If you aren't a cartographer then you might need a tool to give you a helping hand. While the tool is fairly basic it’s got some good customization options. If you have something specific in mind then this tool might not help you too much. If you have nothing to work off for a city, then you can quickly generate a map that is easy to read and explains what each section of the city is. It might come as a surprise to you, it did for me while writing this, but Wizards of the Coast has their own online dungeon generator. While it might not be for 5e, this generator has a ton of customizability. It even generates a wandering monsters table. If you don't have time to set up a dungeon from start to finish this is a cool tool that can be used to kickstart your work and provide more detail to the rooms than its donjon counterpart. Some of you may get so involved in this game that you will start to develop your own content. Eventually you might even think about selling it. If you want to go this route then I have a few things you might want to check out first. If you are going to publish anything D&D related you will first need to look at this. Not because its useful, but because this is legally required in order for you to do so. This contains all of the information you should need starting out when even thinking about your new product. Read over it and understand it, the last thing you want happening to you is getting contacted by the Wizards of the Coast legal team because you didn't read the fine print. Holy crap this tool is awesome. If you aren't really looking into publishing your content for sale but just want to make something nice looking quick for you and the internet, then this tool is a quick way to accomplish it. It requires a bit of understanding of Markdown, but overall I have used this to create many a homebrew project. Many of you that follow me may have even seen my work in it. It makes your homebrew look like it belongs in a Wizards source book. I could do an entire article on D&D podcasts alone, but I'm going to condense this one down to a few podcasts that will help you become a better Dungeon Master and/or Player. These are the guys that really got me going down the path of the Dungeon Master. They are incredibly knowledgeable as are the numerous guests they bring on board. Their show DMNastics is a great way to exercise your DMing skills. They are funny and incredible. 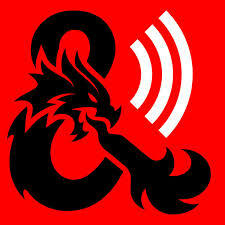 Just listening to this will expose you to a ton of other D&D related podcasts and content. Even if you aren't a GM (Game Master) I totally recommend you listen to this podcast. You will learn a ton in just a few short episodes. Brian Casey (Fiddleback) and Scott Rehm (The Angry GM) put their time and research into producing this wonderful set of informational episodes. Each week they tackle a word and often go off on tangents talking about topics related to the word they describe. They have so many topics they even have Lost episodes where they cover topics they had to cut out of other episodes. But I digress...as you often hear Fiddleback say in GM Word of the Week. This show is Fiddleback and Angry talking about whatever it is they want. However because they are so involved in tabletop gaming they tend to do a lot of talking about it in this show. Overall this is a highly entertaining "two guys talking" podcast. If you want the latest news but can't catch their livestream on twitch Dragon Talk is the Wizards of the Coast official D&D podcast hosted by Greg Tito and Shelly Mazzanoble. They interview prominent figures in the world of D&D and the associated worlds with them. They have segments like "Lore you should know" where they talk about lore in D&D and "Sage Advice" where they interview Jeremy Crawford on the burning rules questions for D&D. Overall you can discover even more D&D related content and keep up on the latest news from this one podcast alone. A collection of shows the folks at the Academy talk about a lot of interesting topics including advice for you playing and running games at your table. Their lineup of shows has something for everyone in the tabletop gaming community. The best part of this group is their yearly convention AcadeCon in Dayton, Ohio. The convention is small and hosted by these kind gentlemen making it a wonderful place to learn new games and talk to some rad individuals. Now this is going to be my only self promotional plug. Here at Nerdolopedia we host a podcast dedicated to homebrew content for D&D 5e. 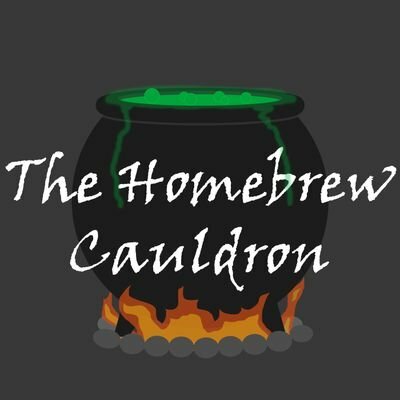 We review and discuss various homebrews and topics. While it is a fairly new podcast, we have had plenty of awesome discussions so far. If you have made it here and haven't seen it, then please make sure to check it out. Self promotional plug over. It is far easier to produce written word than it is to produce a fully fledged podcast or youtube video. While vlogs are basically blogs, I will reserve those for its own section. This series of articles put out by Wizards is the site I probably visit the most. Their articles are on the latest content that Wizards is publicly playtesting. Many of the subclasses that appeared in Xanathar's appeared first in Unearthed Arcana. If you are unsatisfied by the amount of class and race options, this is another place to go. Be warned this is all playtesting material so make sure to get your DM's permission before using it at your table. Jeremy Crawford gets hammered with rules questions. Just look at his twitter. As the lead designer of D&D 5e, he puts out a series of articles answering the most asked rules questions he receives. He even keeps a document publicly available for all the questions he has answered. If you are in need of a rule clarification make sure to check out this set of articles first. A word of caution before heading over to Angry's site: he is called Angry for a reason. His personality may be off putting to a lot of people and his responses on twitter may be harsh, but he has a lot of solid advice and ideas in his articles. Often you will need to cut through the persona he has created to get the valuable information he presents. More often than not he has led me to question my own use of a set of rules or systems and how to use them better (or not use them at all). I really do suggest reading his work with a grain of salt. If what he suggests doesn't work for you, don't take it personally that he says you're wrong. Was the DM's Guild not enough for you? Well Tribality has you covered. The numerous individuals over at Tribality have had their hand in designing games and settings for some time. Many of them play D&D and create their own content for the game. The site is filled with professionally made and designed homebrewed content. Going through their content is worth the dig. Some articles come in the form of videos. With the rise of YouTube you can find all kinds of advice on DMing and even reviews on the latest products. Here are some that I have found really useful. I have spent more than a few hours just watching episode after episode of Matt's advice. I have even used his videos to help teach new DM's certain techniques that take too long to write in a discord message on my phone. Matt's advice is helpful, not just because it's good advice, but he explains his reasoning behind his advice. He has some wonderful stories of his own experiences with D&D where he learned a valuable lesson. If you are familiar with Critical Role, then you are familiar (at least somewhat) with Geek & Sundry. Now they put out a lot of content that isn't related to D&D but my focus is actually going to be on the series of videos starring Matt Mercer and Satine Phoenix. Its GM Tips with [Insert Matt or Satine's name here]. They talk about much of the advice that you might catch on some of the other resources I have given you and even interview prominent GM's in the industry (Matt Colville was one of them). Their show is another way to learn some advice and learn about more people in the industry. While not strictly a YouTube channel, Ted over a Nerd Immersion has a wide array of subjects and nerdy content. On his YouTube channel however he covers some DM's advice along with reviews of the latest products. I managed to meet Ted at GenCon 50 and he is a pretty cool dude. Make sure to go give his channel some love. Will manages to play D&D as a full-time job. It’s no surprise why, his streams are wildly entertaining and he is an amazing Dungeon Master. Not only do they play a lot of D&D, Will also hosts a Learn by Play series where he explains his decision making process for DMing, and they even have a Beginner's Play series. While much of their content is just games, you can catch these educational gems. Even though the show is hosted on twitch Askren uploads his show Fuzzy Dice to his YouTube channel. In Fuzzy Dice he interviews other members of the D&D community including other twitch streamers, designers, and more. As with other shows and podcasts this is another way to find other creators within the industry. Some content I couldn't suggest as resource in their entirety either because of the content or the direction they took, but still felt they deserved to be recognized for their work. I discovered these folks back when I started writing for the Mad Adventurers Society. While at first they started at deconstructing games to teach Nathan about tabletop gaming, it evolved into a show dedicated to talking with game designers. They make the honorable mentions for exposing works to the community and having awesome discussions with smart and talented people. This podcasting collective is fairly new, but they do a lot to the world of D&D podcasts. They have some of the best produced shows in the business and some of the funniest and most wonderful people I have ever met. They work make the community more inclusive while being entertaining. In one of their podcasts Godsfall, there is a buzzer that sounds when they get a rule wrong. It is this devotion to the game that has led many to re-enter or discover D&D that has landed them a position in the honorable mentions. A member of the former Mad Adventurers Society, Jason’s blog is focused on his journey into AD&D. Since the edition of D&D is quite different from the current edition, it is Jason's desire to discuss the legacy and history by learning the game at its dawn that has earned him an honorable mention. Seamus Conneely and Aaron Marks blog is a great view into the mind of an ongoing tabletop gamers. They review several products, give adventure logs, and talk about conventions. They have wonderful stories and advice along with some cool insight into the products that exist out on the market which is what earned them an honorable mention. Seamus is also a member of the former Mad Adventurers and even keeps links on his website linking to all the former members of the Mad Adventurers current works. I want to say thanks for including us! While this would normally be listed in the resource blogs, sadly the group was disbanded in 2016. At the time of this writing the site is in Archive mode, so much of its content is still available to read. Unfortunately it is only a matter of time until the site disappears. It is for this reason that it made it to the honorable mentions. I know there are several resources I am missing as there is a ton of wonderful content for this community. If you have any resources that you think should be added, make sure to comment them! I will be adding a consolidated resource list over in our Tales from the Tavern section of the website. If you comment other resources I will try to add them to that list after I look through them.